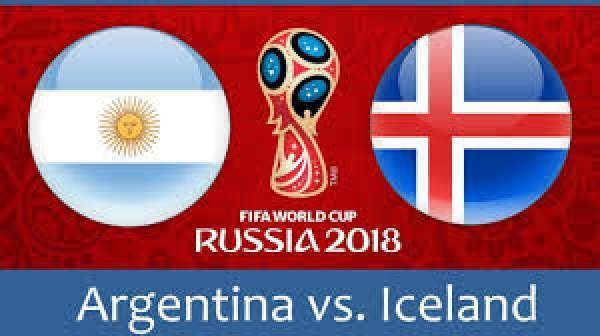 The live streaming of Argentina vs Iceland will be provided by the official broadcasters of the tournament. It’s the 21st edition of the world’s most watched world cup event. Five matches have already taken place this time. It is going to be the sixth one this year. It’s the Group D game where Argentina led by Lionel Messi will lock horns with underdog Iceland team. The other two teams in the group are Croatia and Nigeria. Both the teams will be putting three big points on the line in Moscow, the capital city of the host nation, Russsia. Argentina is obviously the favorites and the first pick, but they shouldn’t take the opposition side lightly. Iceland is hoped to turn into dark horse and turn around the expected result of the match. It did the same in Euro 2016 and upset England on its way to quarterfinals. Argentina has arrived to this point with 23 healthy players. But, it ofcourse has some tensions and question marks. The side replaced Manuel Lanzini with Enzo Perez of River Plate who tore his ACL. The team of Sampaoli is also going to play without goalkeeper Sergio Romero as he has hurt himself just before the tournament. Iceland team seems to be in full strength and ready to take on its big opponent. Here’s how you can watch the game. The ARG v ICE match will start at 9 am ET and will be played at the Otkrtitie Arena located in Moscow, Russia. In the United States, the live telecast / broadcast will be on FOX and Telemundo tv channels. However, you can catch the live stream of ICE v ARG on fuboTV and CBS Sports app. New users can sign up for a free seven day trial. In the UK, the same will streamed live on ITV Player and telecast on ITV. Argentina is expected to win the match as it looks stronger on the paper with Messi, Aguero, and Di Maria. Argentina 2, Iceland 0. Caballero; Mercado, Otamendi, Fazio, Tagliafico; Mascherano, Banega; Meza, Messi, Di Maria; Aguero. Halldorsson; R. Sigurdsson, A. Skulason, Eyjolfsson, Arnason; Bjarnason, G. Sigurdsson, Hallfredsson, J. Gudmundsson; Sigurdarson, Finnbogason. Stay tuned to The Reporter Times for more football news.